Consumer fraud occurs when a consumer is harmed, financially or otherwise, due to intentional deception. Common forms of consumer fraud include identity theft, insurance fraud and bank fraud. The Federal Trade Commission (FTC) monitors and addresses consumer fraud. In addition, most states have passed laws and created special programs to deal with this issue. Volunteer groups such as the Better Business Bureau also work to help consumers who have been defrauded. In addition to the efforts of these organizations, consumer fraud attorneys can help determine if you are eligible for compensation and can assist you in the recovery process. The FTC is the government's front line of defense against consumer fraud. To better track and fight consumer fraud, in 1997 the FTC established its Consumer Sentinel program, which processes complaints and logs them into a database. Since its inception, millions of complaints have been filed with the Consumer Sentinel program. More than 1,600 law enforcement agencies have access to its database, as do the offices of the various attorneys general. Identity theft is the theft of personally identifying information for the purpose of committing fraud. According to the FTC, 9 million Americans fall victim to identity theft each year. In fact, the agency considers identity theft to be the greatest consumer fraud-related challenge it faces. For the year 2006, the Consumer Sentinel program identified several sources from which thieves retrieved consumers' personal information, including credit cards (25 percent), bank records (16 percent) utilities statements (16 percent) and employment records (14 percent). The FTC estimates that consumers lost more than $1.1 billion to consumer fraud in 2006, with more than 670,000 complaints filed. Identity theft is the biggest issue associated with consumer fraud, representing 36 percent of cases reported. Also of concern is the rising number of complaints involving wire transfer payments. Identity theft can be devastating. Some people discover that their identity has been stolen while reviewing their credit report, but for others the first indication is a menacing letter from a debt collector. Although recovering from the effects of identity theft can take years, consumer fraud attorneys can provide you with possible options that may reduce the length of time and the severity of the recovery process. The birth of online commerce has been a boon to the U.S. economy. Unfortunately, the Internet has also been a boon to thieves. In fact, the Internet is one of the most significant sources of fraud in the United States. The FTC received more than 670,000 cases of consumer fraud in 2006; among cases where the initial method of contact was reported, 60 percent originated from the Internet. All of this online fraud is extremely costly to consumers. According to The National Fraud Information Center (NFIC), the average individual loss from Internet-related fraud in 2005 was $1,917. By all accounts, auctions are the major problem. Both the NFIC and The Internet Crime Complaint Center (IC3) identify auctions as the culprit in more than 40 percent of Internet fraud cases. Other types of Internet fraud include check fraud and non-delivered merchandise or payment. Sadly, hurricanes and other natural disasters unearth all manner of imposters and con artists. Hurricane fraud comes in many forms, including identity theft, charity fraud; government-benefit fraud and even large-scale bad faith insurance fraud (see section below). Following Hurricane Katrina, Attorney General Alberto Gonzales established a task force to combat these despicable acts. This task force continues to coordinate with several federal agencies, including the FBI, the U.S. Secret Service and the Federal Trade Commission. Despite the efforts of these agencies, many hurricane victims continue to suffer the effects of neglect and fraudulent activity. Most worrisome are the acts of insurance companies, which have been accused of many questionable practices, including slow response and failure to send insurance adjusters to assess pending claims. Insurance bad faith is a form of insurance fraud committed against consumers by insurance companies. When a person signs an insurance policy, he or she is operating on the assumption that the insurer will act in good faith in the event of an accident. An insurance company acts in bad faith when it wrongfully denies a claim made by the insured party. To prove that an insurer has acted in bad faith, the insured must show the court that the insurer failed to honor the contract they signed. In many cases, insurance bad faith comes down to "reasonable" interpretation of the contract in question. When the court determines that denial of a claim was unreasonable, the insurer is ordered to honor the claim. When the court considers the insurer's actions particularly unreasonable (deceptive, dishonest, fraudulent), it may award punitive damages as well. If you think you have been the victim of insurance fraud or mistreatment, a consumer fraud attorney can assist you in appealing the denial of your claim and can help you determine if you are eligible for compensation. Consumer fraud is not limited to the areas outlined above. For example, telemarketing fraud, investment-related scams and fraud targeted at senior citizens are all very common. 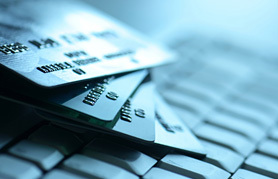 Electronic funds transfers are the most common source of identity theft related to banks.